Apologetics Press continually strives to generate products that promote the cause of Christ and refute the ploys of Satan to subvert souls. Atheistic evolution has certainly been a prominent myth by which many have been drawn away from the Almighty. From its inception, A.P. has waged aggressive warfare with the forces of evolution in an effort to demonstrate its unscientific nature in contrast with the perfectly plausible biblical account of Creation. 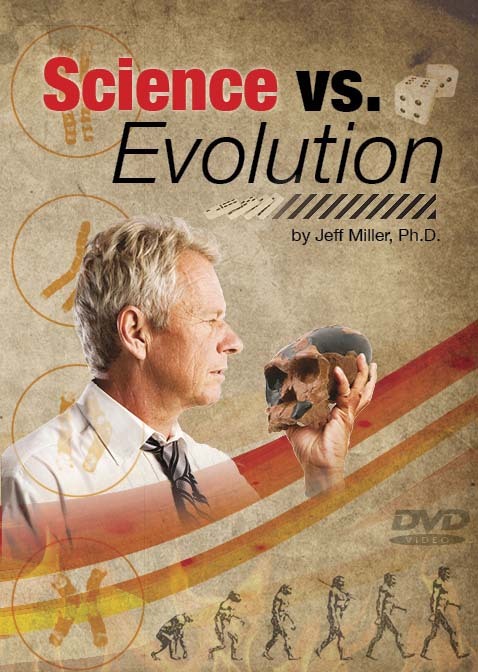 To that end, we are very pleased to announce the release of a new DVD that we believe provides tremendous assistance in ascertaining the truth about evolution. Session I: What is Evolution, and Why Does it Matter? Session II: Can Evolution Get Something from Nothing? Session III: Did the Universe Cause Itself? Session IV: Can Life Come from Non-life…and Turn into You? Session V: Do Science Textbooks Prove Evolution? Session VI: Do Fossils Prove Evolution? Session VII: Do Dating Techniques Prove the Earth is Old? Session VIII: Why Be an Evolutionist? You will want to secure your copy, as well as copies for youth and others in your acquaintance who need to be equipped with this information. On another note: the 2014 A.P. Christian Evidences Summer Camp is now history. Over 200 campers were blessed by this outstanding event. See the report in the centerspread of this issue of R&R. You may want to make your plans to be a part of the 2015 camp which will center on the theme: The Deity of Christ.